The Windsong magazine is the official state journal for WMEA. Subscription: Free to WMEA/NAFME members. Advertising in the Windsong is available to any interested business or institution whose focus of operation is in keeping with the WMEA mission. The fall journal goes to all teachers in the state. All three digital journals are also available to members through the website. The Windsong welcomes articles that inform, instruct or inspire our readers and are in keeping with the theme of the specific issue. Articles 750-1200 words in length are encouraged. Based on space availability, longer articles may be considered. All articles are subject to editing. The Editor reserves the right to accept or refuse articles for publication based on available space and potential interest or value to the readers. If space is limited, preference will be given to articles authored by WMEA members. 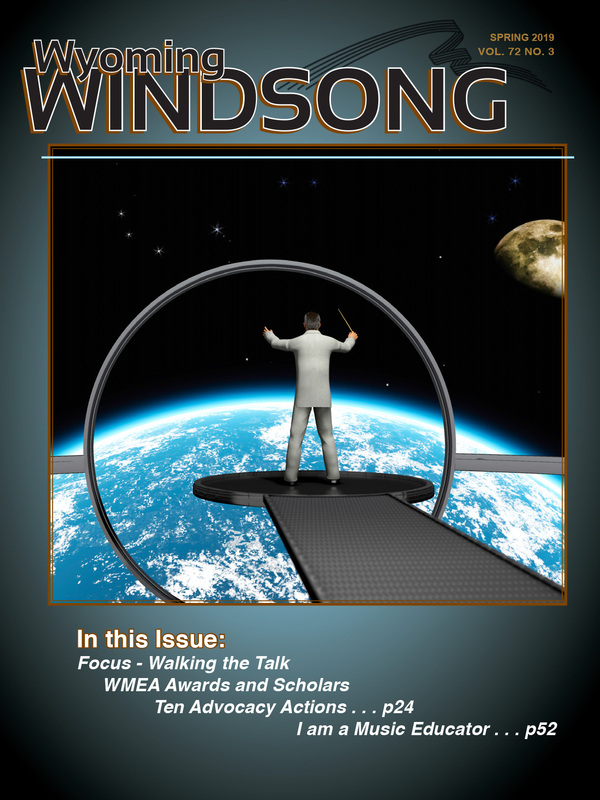 The Windsong is an informational and instructional resource for WMEA members and associates. Writers considering article submission please be aware that the Windsong is not a peer-reviewed journal. Published articles become the property of the Windsong and WMEA, with all rights reserved. No remuneration is be paid for published articles.